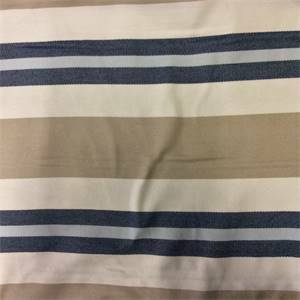 We like this medium weight railroaded (across the bolt) decorative stripe. It has a very subtle texture much like a tiny pique fabric or duck fabric. You'll find it great for light upholstery such as chairs, sofas, ottomans, slipcover, headboards, valances. bedding, duvet covers and decorative pillows. 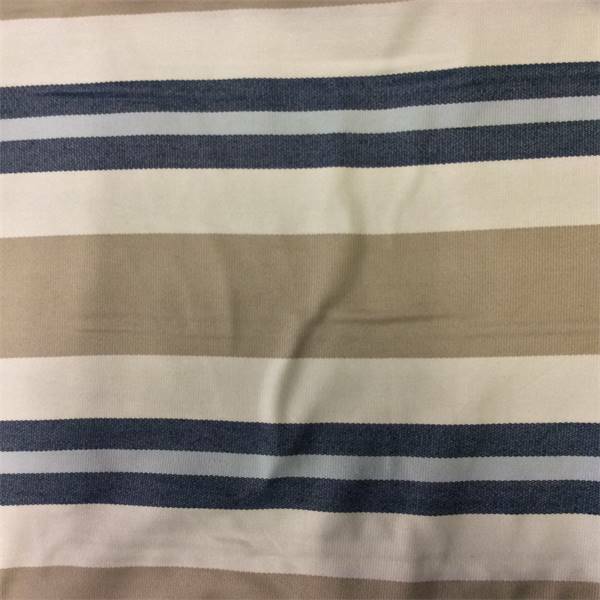 I would think the horizontal stripe would limit the uses as a drapery fabric.